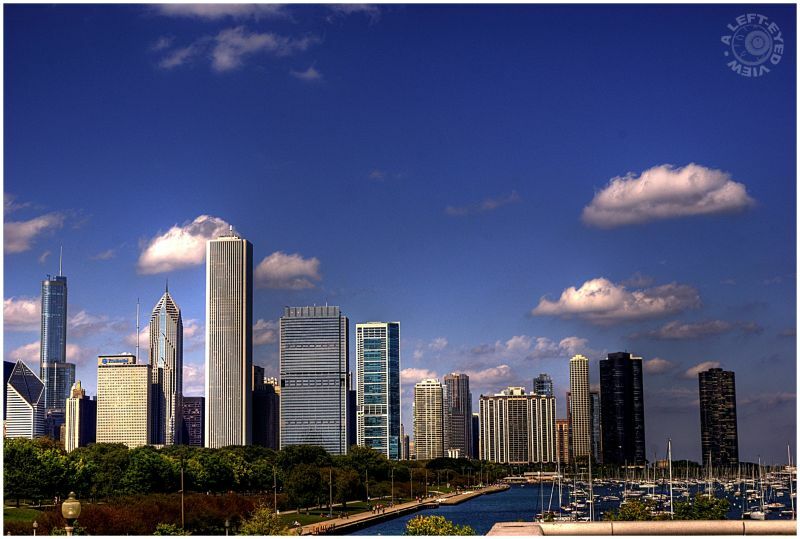 Steven (Chicagoland, United States) on 5 November 2009 in Cityscape & Urban and Portfolio. Final plate of the Chicago skyline captured from the Museum Campus before stitching all three plates to create a panoramic of the skyline for tomorrow's post. Identification of buildings, from left to right, Smurfit-Stone Building, Trump Tower, One Prudential Plaza, Two Prudential Plaza, Aon Building, Blue Cross and Blue Shield Tower, 340 on the Park, Park Tower, Olympia Centre, Harbor Point (first black building), and Lake Point Tower. Photo taken September 27, 2009. I cant wait for tomorrows post..:). Fantastic! Weird to see how small the boats are compared to this huge skyline ! Beautiful shot, and part of the skyline rarely photographed. I can't wait to see the final stitched product. Another fabulous shot. I like that marina in the frame. The sky is more important than the skyline, I think. Gorgeous. And I think I need an apartment in the Lake Point Tower, it´s such a great homage to Van Der Rohe! If only Aminus3 allowed us to post wider pictures and people were able to scroll left to right. another great photo in the series! you got some nice lighting condition for these photos - lovely work! lovely! you should stitch these all together for a full skyline panorama! !